Contain your excitement – a new SPECTRE ‘making of’ featurette has landed. And, we can reveal, it features the making of the opening scene of James Bond’s latest adventure, set against the vibrant festivities of Mexico’s Day Of The Dead. “I wanted the audience to be dropped right into the middle of a very, very specific, very heady, rich environment. It’s the Day of the Dead, everywhere you look there’s colour and detail and life. We’ve built floats and maquettes, the costumes are extraordinary and the craftsmanship is amazing,” says director Sam Mendes. 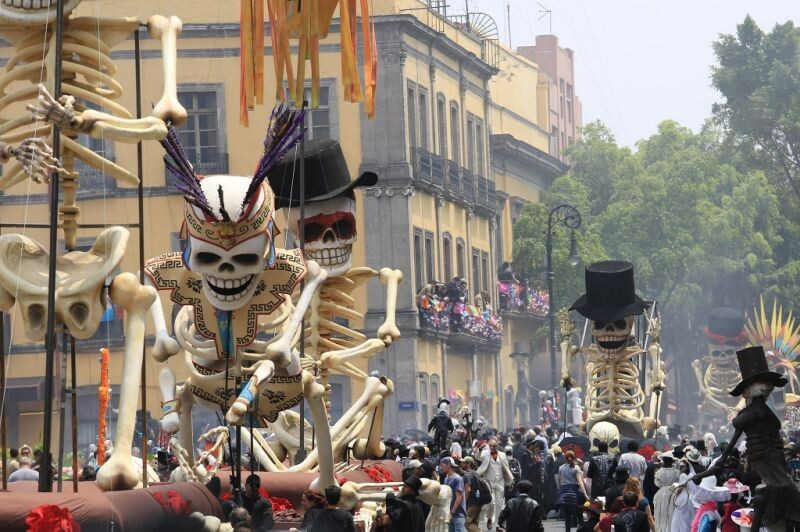 Over 1500 extras were used, made into colourful, flower-laden living skeletons as they take to the streets of Mexico City for the annual carnival that celebrates and honours deceased ancestors and relatives. We haven’t seen anything so scarily spectacular since Michael Jackson’s Thriller! 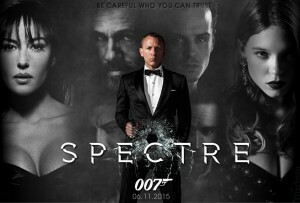 SPECTRE, starring Daniel Craig as James Bond, and directed by Sam Mendes, is in cinemas 6th November, 2015.